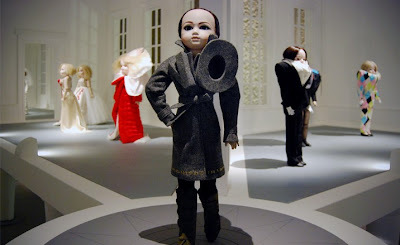 Sweet Fancy Treat: What Is It With Designer Dolls? 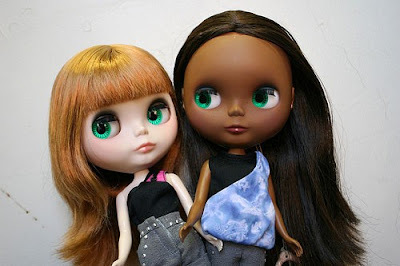 What Is It With Designer Dolls? I've refrained myself about making an entire post about this, but it's getting too strong of a phenomenon to keep ignoring. 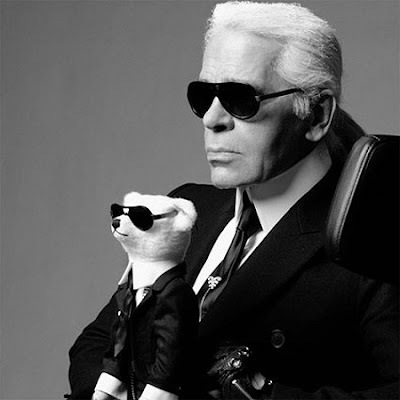 At first, it was the lethally chic Karl Lagerfeld teddy bear. Ok, nobody does it like Karl. He started it, but the other designers are fast in jumping on the bandwagon. 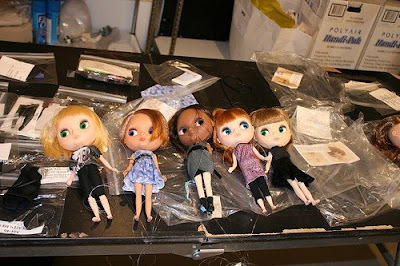 Do dolls have greater impact upon the public? Would people go and get a doll rather than get the actual clothes? Shouldn't generalise though. Some of them, as those recently designed by Victor&Rolf are just exhibited. For now. 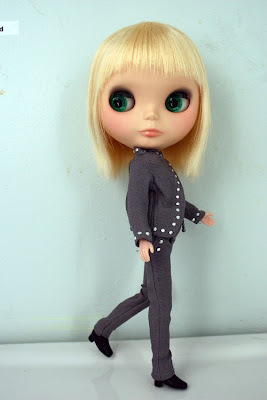 Tell me, do you like Blythe? I must admit there's something about those huge, creepy eyes that keeps me staring at it on my screen. I'm not sure if I can call Blythe beautiful. Not in the conventional way, I'm sure. But she does have something. Or does it just perform magic tricks on us? I keep calling her she, isn't that odd? Haha. Here are some sneak peek images of the backstage shoot, via Nitrolicious. 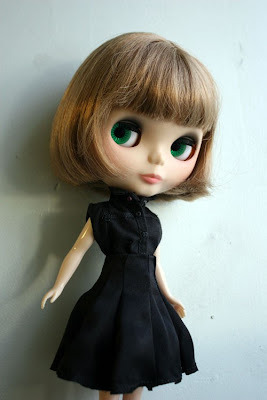 Blythe is all dressed up in the McQ Alexander McQueen for Target collection. Just a bit until the official photoshoot, which is highly anticipated for the 4th of March. 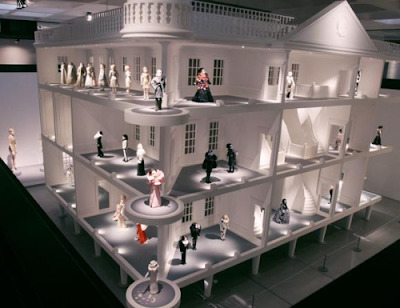 Dutch fashion designer duo Victor & Rolf created the Viktor & Rolf’s Dollhouse. 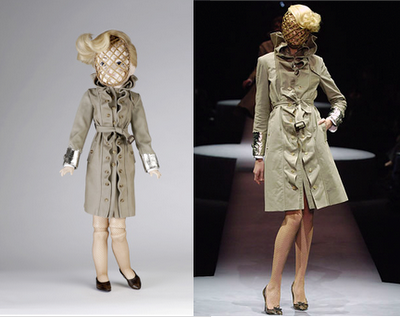 The main purpose was to recreate their most memorable pieces from the past fifteen years on porcelain dolls. I give the two extra bonus points for also putting up a three-story dollhouse for the 55 miniature porcelain dolls. Each doll is approximately 2 feet tall. All can be seen in London, at the Barbican Art Gallery in London. 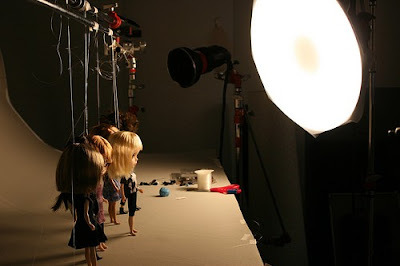 Gosh, I'd sure love to admire these dolls, I think they could appear to be even more impressive in real life. Blythe au starnit un adevarat cult online, grupuri flickr dedicate etc + sunt f expresive, asa ca era normal sa fie folosite intr-un photoshoot. Totusi, daca ar fi sa-mi doresc sa-mi pot cumpara, ar fi papusile Viktor and Rolf. Tea Party. You Are Cordially Invited.